The Vancouver Convention Centre is strongly committed to strengthening the health and vitality of the local community. 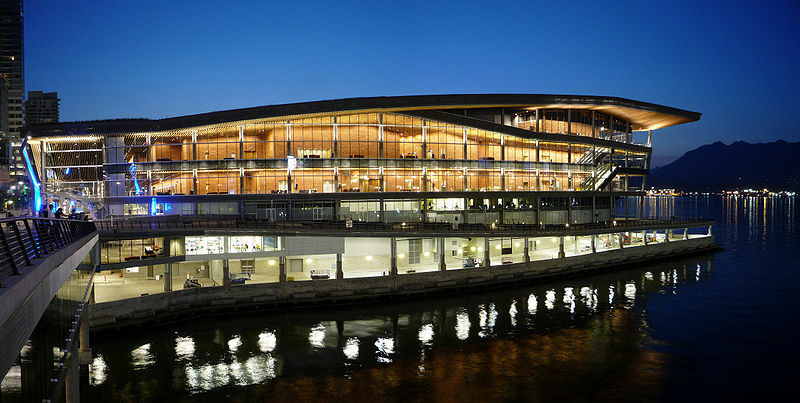 Conventions and events hosted at the Vancouver Convention Centre are not only economic drivers for the city and Province. Through partnerships with the noted charitable organizations, the Centre also ensures that events help contribute a lasting social impact on the community. In other words – sustainability isn’t simply an environmental value, but an economic and community goal as well. This commitment is reflected in the Convention Centre’s Service Standards to be “a role model both at work and in the greater community.” Among its industry-leading programs, the LEED Platinum Convention Center runs an all-scratch kitchen, composts organic waste, and targets a zero-landfill goal annually. Seeing an opportunity to support the mission and vision, Centerplate’s executive team at the Vancouver Convention Centre executed a sustainability program that perfectly combined the dual goals of environmental and economic partnership and responsibility: United We Can. United We Can combines a 100% diversion recycling program with job training opportunities for people with multiple barriers to traditional employment, many living in extreme poverty and often homeless. 100 percent of the Convention Centre’s recyclables – wine and liquor bottles, and pop and beer cans and bottles – are donated to United We Can. Because many recyclables can be returned for money, this program capitalizes on this opportunity while creating full-time and part-time jobs for low-income residents. To date Centerplate, has donated nearly half a million beverage containers, making Centerplate largest single contributor to this charity. Lanes Cleaning Project – a public space environmental clean-up campaign where United We Can employs work crews to pick up litter, clean sidewalks, lanes, alleys and public spaces. SOLEfood Inner City Urban Farm – provides inner-city residents with employment, and at the same time providing community kitchens, local residents, restaurants and caterers with a valuable source of local and organic food. In addition to the community benefit, the program earned our clients recognition and an industry award: the prestigious PCMA Spirit Award. The UWC effort has helped maintain the goal of diverting 100% of the Center’s recyclables from landfills and into recycling centers. Centerplate & VCC contributes more returnable containers than any other single partner. The monetary value of the contributions translates to a direct income stream of tens of thousands of dollars per year for United We Can. The income translates to jobs for people with barriers to traditional employment who live in Vancouver’s Downtown East Side (often considered Canada’s poorest neighbourhood). People are employed sorting donated containers, cleaning nearby streets and alleys every morning, repairing bicycles for use in the community, etc. As the business grows, so does the Centre’s contribution to UWC, and the impact on the lives of the people in the community.